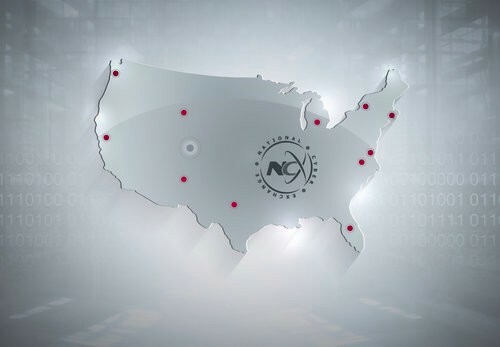 NCX is a nonprofit cybersecurity training, education, and threat intelligence information sharing, alerting and support organization dedicated to improving cybersecurity in our communities, industries (critical infrastructure), and in our personal lives. NCX provides cyber threat intelligence, alerts, and threat information via its Cyber Threat Center (CTC) which is a dedicated Threat Sharing platform. The roots of NCX were originally established in 2010 and was originally known as the Center for Information Age Transformation (CIAT), a thought leadership organization. It became the Western Cyber Exchange (WCX) in 2011 serving the three-state region of Colorado, New Mexico and Wyoming with various levels of information sharing, training and cyber exercises. 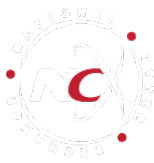 In October 2016 WCX announced its name change to the National Cyber Exchange (NCX) to better support members nationwide with cyber threat intelligence and information sharing, cyber citizen awareness training, and technology development. In 2015 NCX and the Department of Homeland Security (DHS) established a Cooperative Research and Development Agreement (CRADA) with the Office of Cybersecurity and Communications. NCX participates in the Cyber Information Sharing and Collaboration Program (CISCP) with DHS and will act as an Information Sharing and Analysis Organization (ISAO). In 2016 NCX became one of the few organizations to participate in Automated Indicator Sharing (AIS) with DHS. The purpose of the CRADA is to share cybersecurity threat information to help make communities, industries and critical infrastructure more secure. The agreement also provides NCX access to the National Cybersecurity and Communications Integration Center (NCCIC), a DHS cybersecurity operations center. 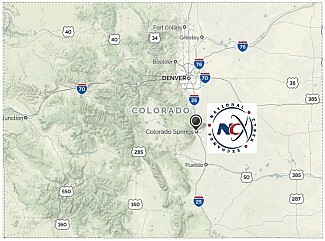 Using a sophisticated Trusted Automated Exchange of Indicator Info (TAXII) platform with direct data sharing linkages to the DHS CISCP and other 3rd party cyber threat sharing centers, the Threat!Share@NCX service includes a number of commercial and open source resources for gathering threat information and is capable of passing digital data to members who can receive it. Through this innovative architecture, we can provide real-time NCX|FlashAlerts! 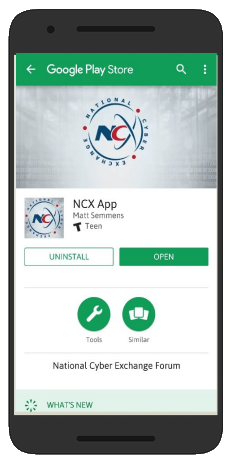 and warnings that are issued to all members via encrypted e-mail and mobile app messages delivered to the NCX|CyberApp running on Apple and Android smartphones. 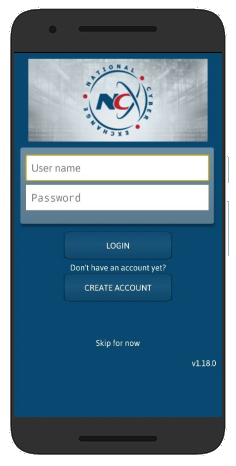 Leveraging our partnership with DHS, the NCX|Cyber Threat Center is able to share cyber information to our members for the development of threat indicators and analysis. Through NCX information sharing we can help direct users to the proper entities/tools for threat analysis. As a fully functioning ISAO, we can provide analysis tools from DHS and open source threat intelligence to help narrow and mitigate threats -- such as Advanced Persistent Threat vs. Commodity threats. By combining open source and proprietary tool development through Automated Indicator Sharing (AIS) via the website, this allows NCX to bridge the gaps of threat intelligence between federal and commercial entities.